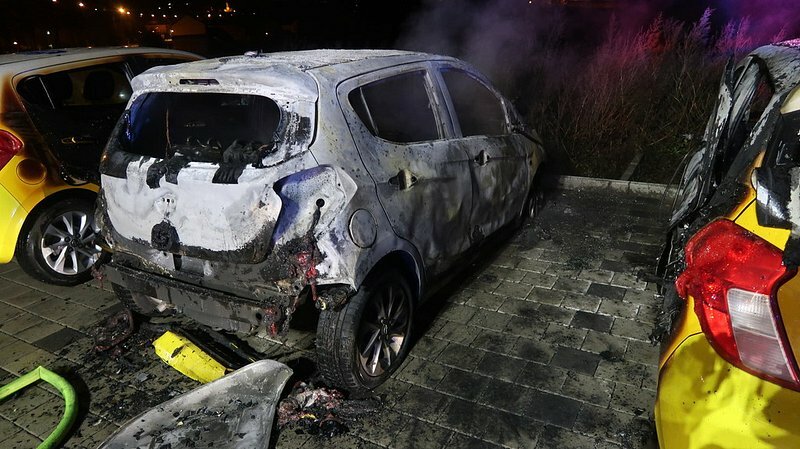 CGDIS reported that several cars had been set alight in Alzingen on Friday morning shortly after 4am, adding to the Hesperange car-burning mystery. According to CGDIS (Grand-Ducal Fire and Rescue Corps), firefighters attended to all the incidents and there were no injuries. Last week, there were several incidents on 3 and 4 January of cars being set alight in Hesperange, Roeser, and Howald during the nights. The report came in of a burning vehicle on Route de Thionville. As firefighters and officers arrived, the flames had spread to two other vehicles. CGDIS reported that four vehicles had been destroyed, but the police bulletin only mentioned three. As with the other incidents, the police are unable to exclude the possibility of arson. In light of the repeated incidents of burning cars, CSV MPs Diane Adehm and Leon Gloden submitted an urgent parliamentary question to Minister of Interior Security, Francois Bausch on Friday. The question queries whether there is a special investigation team in place and if the ministry has provided more personnel to work on the file. It was a busy night for firefighters, who had to deal with two further incidents. At around 9pm on Thursday evening, a report came in of a fire in a basement of a detached house on Rue Sigefroi in Bettembourg. Shortly after 5pm on Thursday, a person was hit by a car on Avenue de la Libération in Differdange, and was injured in the process.